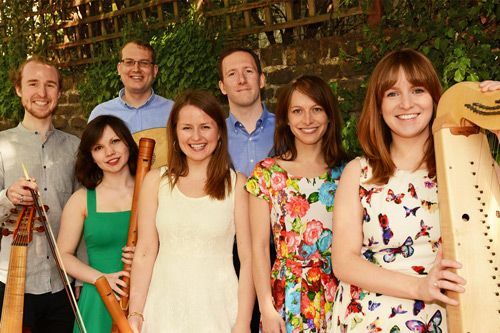 The imaginative early music ensemble Lux Musicae London presents The New Troy, a musical journey through Renaissance and Early Baroque London. The programme will include the jigs of Shakespeare’s Globe, music from the lavish masques thrown at Temple, the lampooning airs of Ben Johnson’s plays, the intricate madrigals performed at court, William Lawes’ regal harp consorts, and the rarely performed Hero and Leander, an adaptation of Marlowe’s poem by the first Master of the King’s Music, Nicholas Lanier - music said to have been greatly favoured by Charles I. Formed in 2014, Lux Musicae London is a group of young musicians who have come together to explore repertoire up to the late 17th century. With a focus on historically informed performance and improvisation of variations and diminutions, they create programmes inspired by music’s relationship with art, poetry, philosophy and drama.